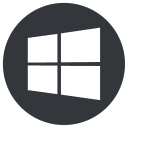 All Windows related articles can be found in this section but if you can’t find a topic you are looking for you could always use the Search box. The inspiration for the brand name Yahoo! Came from a word made up by Jonathan Swift in his book Gulliver's Travels. A Yahoo was a person who was ugly and not human in appearance.